O'Meara Ford is a Denver, Colorado based Ford dealership. O'Meara Ford is a fourth-generation family owned car dealership and we have been in business since 1913. We are Colorado's oldest transportation dealer. This blog is used to inform our customers of events at our store and provide information about Ford products. 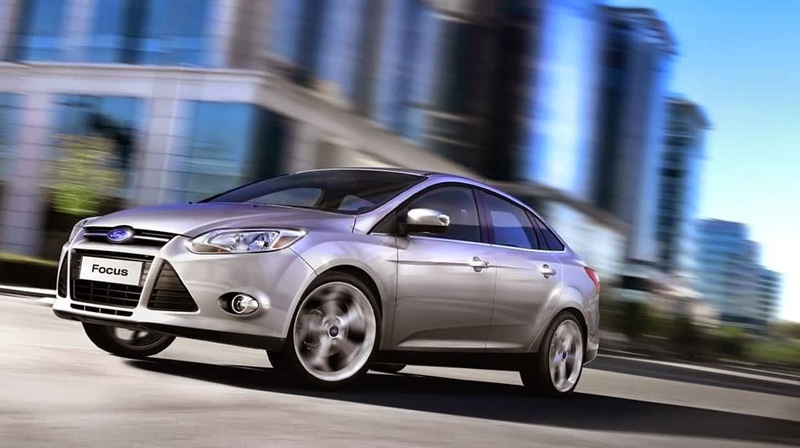 ﻿﻿﻿﻿ The 2012 Ford Focus is new from the ground up! With its bold, contemporary design, the all-new 2012 Focus makes a great first impression. Add to that a wraparound cockpit, remarkable technology, innovative features and exhilarating performance, and you have a vehicle that puts the driver in complete control. The 2012 Focus is a car that begs to be driven! The revised exterior of the all new 2012 Ford Focus has pronounced wheel openings that accent the "Z" body line giving the car motion even when sitting still! The new Focus boasts new front fenders, a new front fascia, a new grille design, new headlamps and new taillamps. The quad-beam halogen head lights offer a look that is unique to Focus. The interior of the new Ford Focus does not disappoint! The Focus design evolution continues with an all-new intelligent interior design that incorporates world-class craftsmanship along with outstanding fit and finish. The interior environment fits the driver like a glove and feels like a cockpit. A wrap around interior with a lower seating position, door panels that are integrated into the dash offer a comfortable place to spend a morning drive or an all day trek! Technology abounds in the new 2012 Ford Focus with available Push Button Start, MyKey Owner Controls, Active Park Assist, Rear View Camera, and Forward and Reverse Sensing Systems just to name a few! MyFord, MyFord Touch and MyFord Touch with SYNC and the media hub make the experience of driving this vehicle incredibly enjoyable! Opt for the Navigation System and you will never have to ask for directions again! Of course getting 40 MPG on the highway with the 2.0L I-4/ PowerShift 6-speed automatic with SFE Package is just icing on the cake! No matter how you look at it the all new 2012 Ford Focus is an incredible car and its waiting for you here at O'Meara Ford! Come in now and drive one home today!